(a) the seriousness of the alleged crime considering the protection of the community. Aggravating factors recognized by the Michigan Sentencing Guidelines, the use of a firearm/weapon, and how the victim was impacted are also considered. (b) the level of culpability of the individual in the commission of the alleged offense. 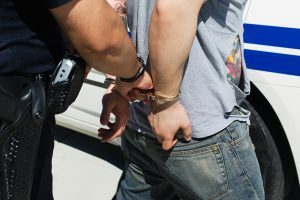 Again, factors listed in the Michigan Sentence Guidelines are considered, as well as the degree the individual planned and participated in the alleged offense. (c) The individual’s prior record in the community, including school record, juvenile record, police record, or anything else that indicates prior delinquency. (d) Whether or not the individual participated in any programs in the past. What was the individual’s level of willingness to participate and benefit from available programs. (e) How adequate is the juvenile system to punish or rehabilitate the individual. (f) The available dispositional options that the Court has to address the individual. This is all viewed in the context that Michigan’s juvenile laws embrace the notion that minor’s have a greater ability to change and rehabilitate. There is a belief that the older you get, the more set in your ways you become.